Coq au vin, unlike revenge, is a dish best served hot. It’s a classic in French cuisine, with tender, fall-off-the-bone chicken in a rich, savory wine sauce with a hint of tomato, speckled with mushrooms and shallots and bacon. These flavors are just amazing! It’s a perfect dish for dinner parties, but this time, I’ve made it to have for lunch at work during the week. Lucky me. Totally impressive but actually very simple to execute, this recipe is definitely one worth mastering. 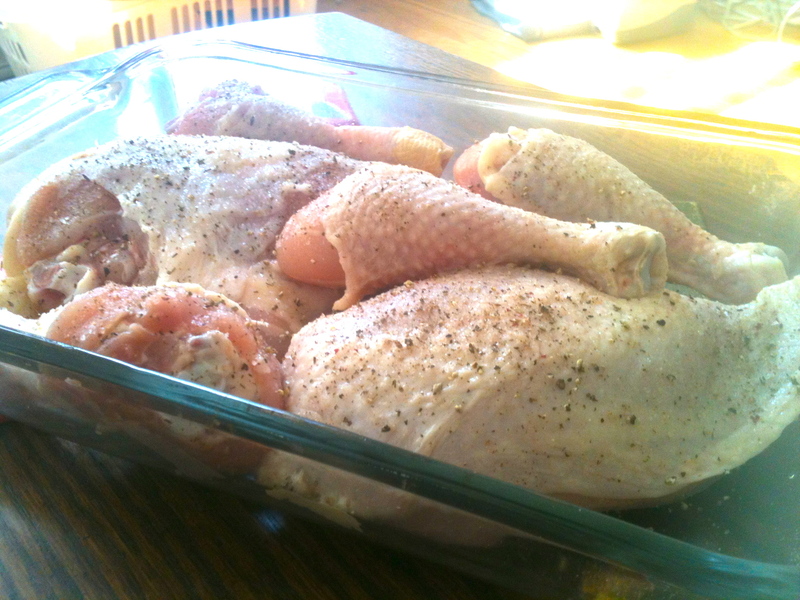 Rinse and pat dry chicken, then season with salt and pepper. Heat butter and olive oil in Dutch oven or other large soup pot. 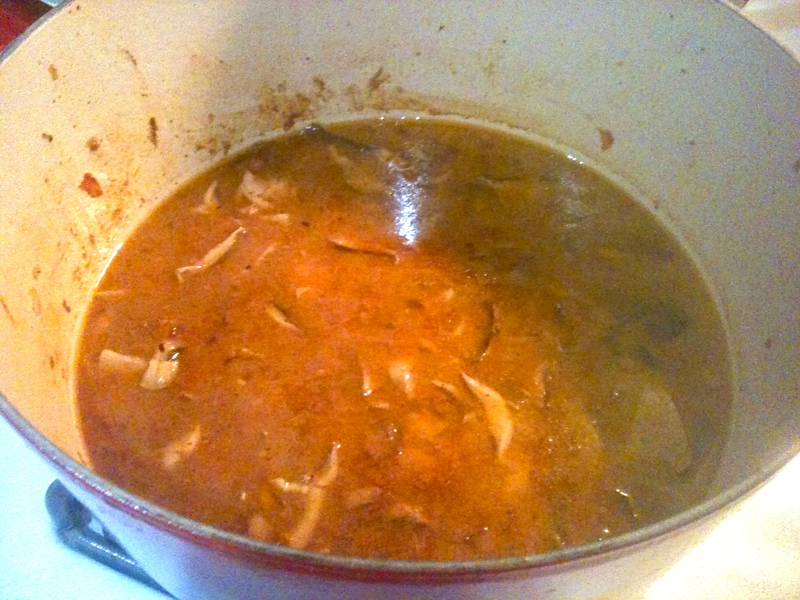 Working in batches, brown chicken on all sides and then transfer to a plate. In the same pot, cook the bacon. 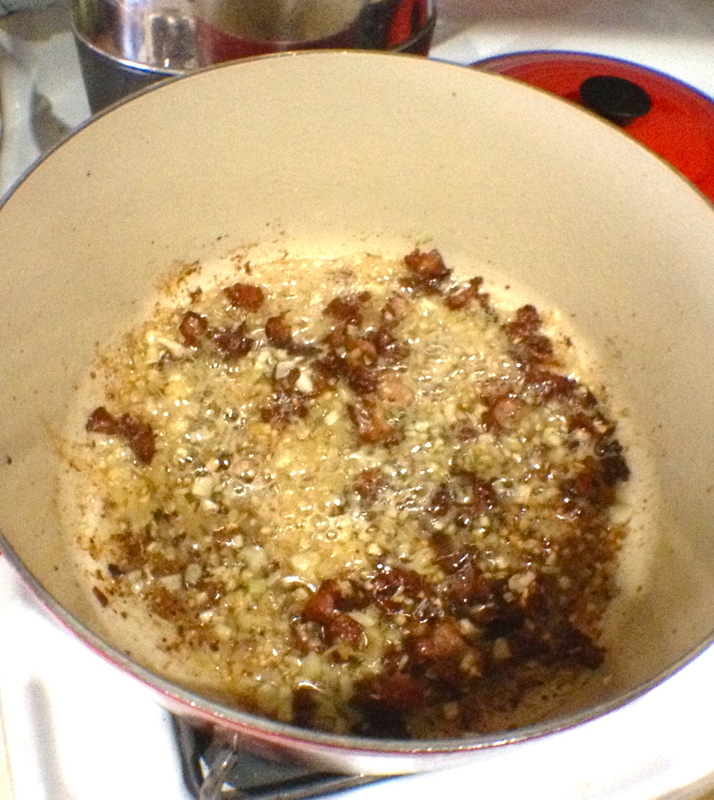 When the bacon is crisp, add shallots and garlic and cook until soft. In a separate pan, saute mushrooms in olive oil until soft. Set aside. 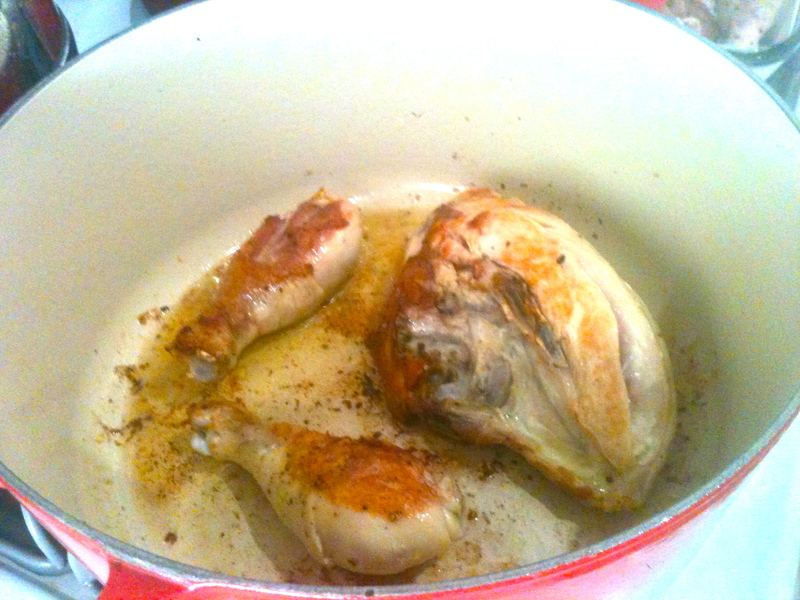 Deglaze the chicken pot with a splash or two of stock and stir. Then place chicken back in the pot. 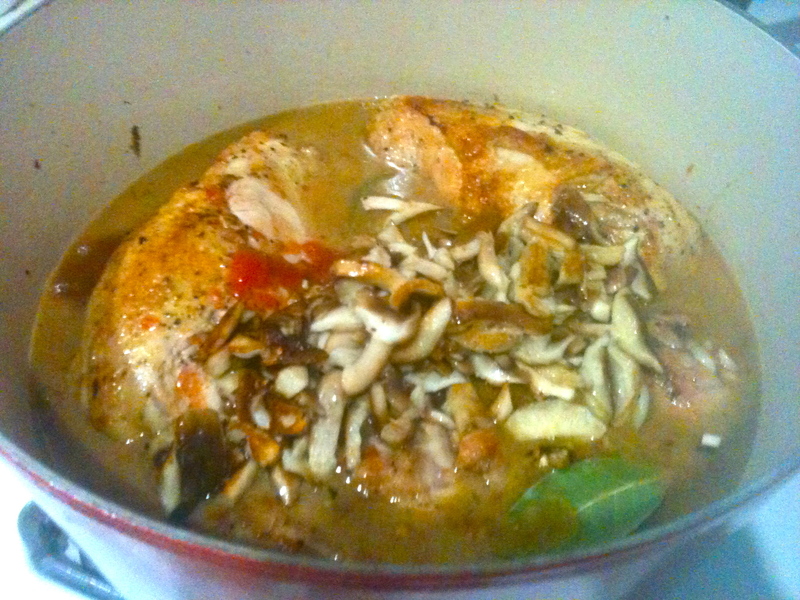 Pour wine and the rest of the stock over the chicken and add mushrooms, crushed tomato, and bay leaves. Cover pot with lid and simmer for half an hour. When chicken is fork-tender, remove from pot. Remove the bay leaves at this point, too. Place half a cup of the sauce into a small bowl and stir flour into it with a fork. 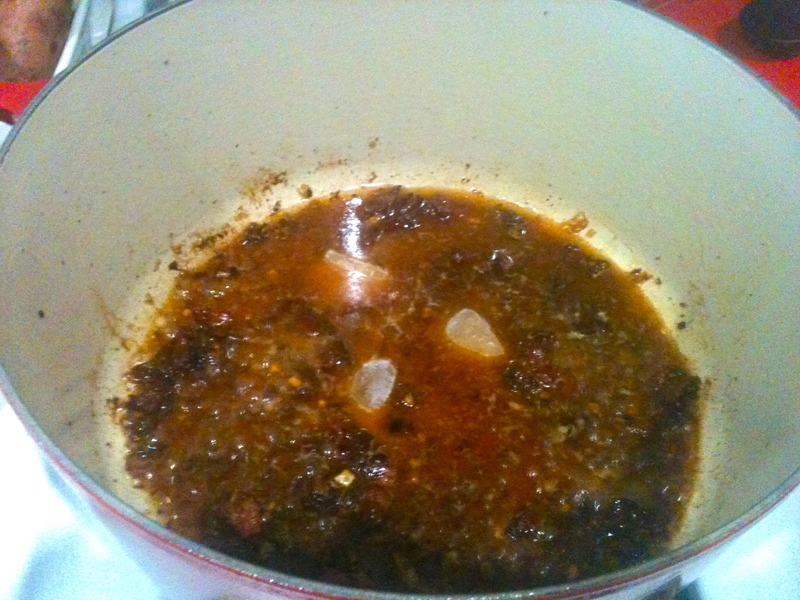 Bring the pot of sauce/gravy to a low boil and whisk the flour-thickened portion into it. Cook for 2 minutes, stirring constantly. Remove from heat. 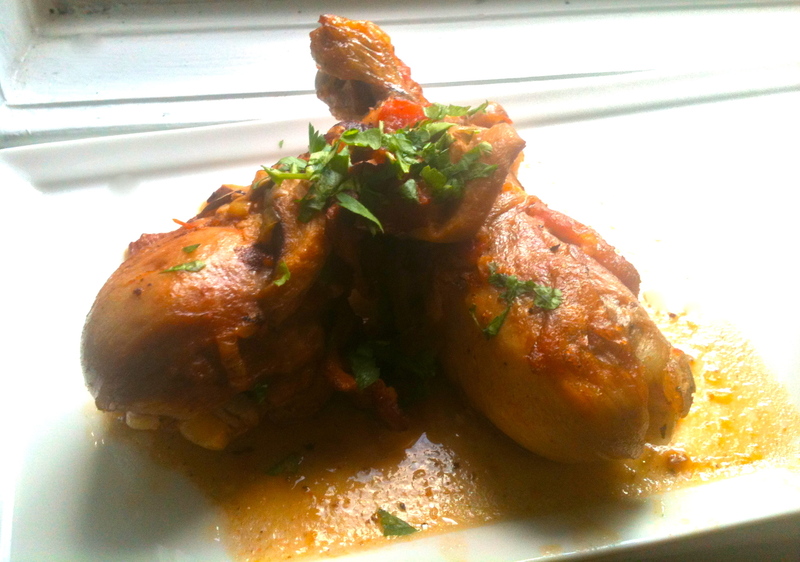 Spoon sauce over chicken and serve with rice or potatoes, and garnish with parsley. Makes for luscious leftovers too! Previous Upside-Down French Onion Soup. Next Watercress and Radish Salad with Mustard Jalapeño Vinaigrette.